Every day, you’ll find Maurice Kanbar having a martini with his lunch. After all, the longtime entrepreneur deserves it. Following the sale of his first vodka brand, which allowed him to donate millions to charity, Kanbar is in the honeymoon period of his latest win: Blue Angel Vodka. 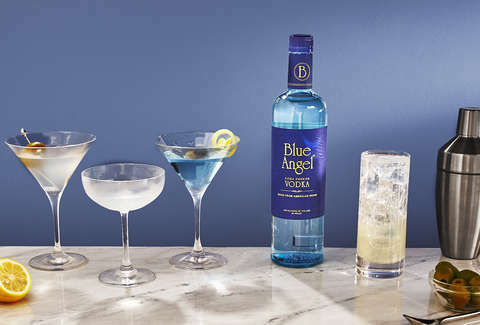 But for the 89-year-old Kanbar, Blue Angel Vodka is different. 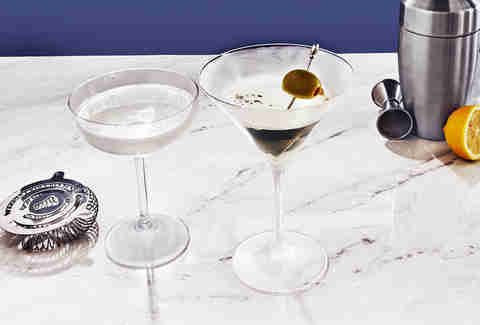 It’s a sort of victory lap that both stands up in a martini and donates to arts and philanthropy groups around Blue Angel’s hometown, San Francisco. Kanbar has a long history of using his success to fund good causes, including a number of LGBT organizations, like the San Francisco Gay Men's Chorus. Kanbar’s mission with Blue Angel Vodka is to give back to the city he has called home since 1984, while creating a highly drinkable, smooth vodka that appeals to everyone (including critics: Blue Angel Vodka won double gold at the San Francisco World Spirits Competition). If you’re looking for a way to have a delicious drink and help those in need at the same time, here are four cocktails you need to try. 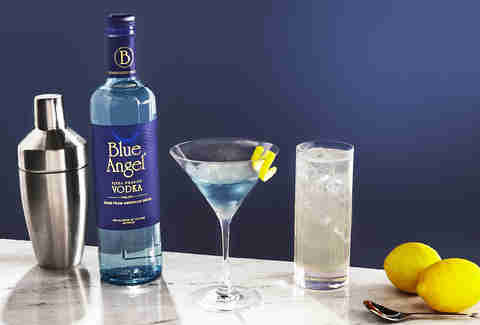 Add Blue Angel Vodka and blue Curaçao to a shaker tin with ice. Shake.